We are now open for play. Winter rates apply until Monday, April 29th. 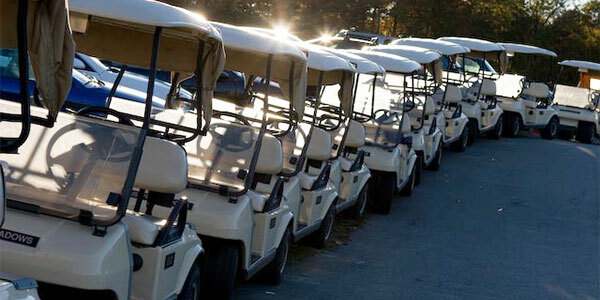 Call 508.278.6110 for tee times. Join us for our Open House on Saturday, May 18th from 10am - 2pm. Everyone welcome! Tour our wedding venues, enjoy complimentary beer and wine tasting as well as food samples from our pub-style Meadowview Tavern. View all the latest Callaway Golf equipment on the driving range. Putting contests, corntoss, prizes and more! 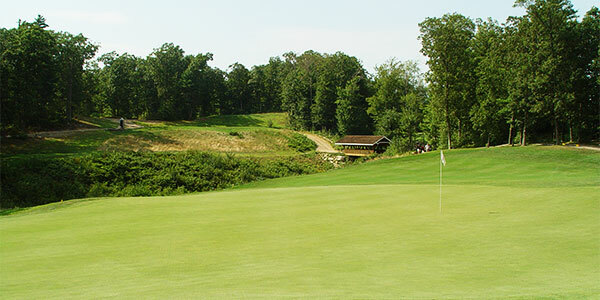 Enjoyed by seasoned golfers year-round, Blissful Meadows Golf Club is a beautiful and challenging 18 hole championship golf course located in Uxbridge, Massachusetts. From our challenging golf course, to our superb service and atmosphere, there aren't many other places that can ensure the success of your golf event the way that we can. 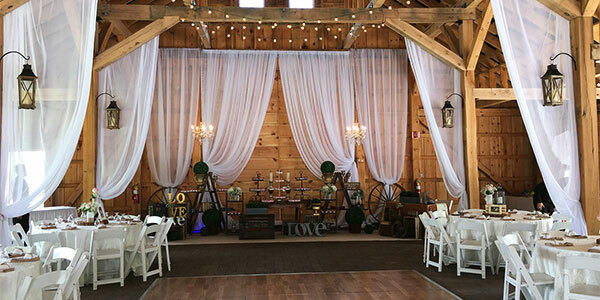 The Pavilion at Blissful Meadows Golf Club was designed to accommodate those searching for a rustic, indoor-outdoor, barn-style venue, in a beautiful setting. 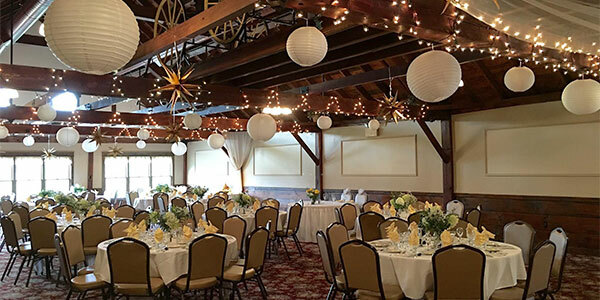 The Chestnut Room comfortably seats up to 185 guests and offers scenic vistas of the 18 hole golf course from the second floor of an ornate Victorian barn, built in 1881. Blissful Meadows Golf Club is a family owned and operated semi-private golf club, the concept of which was created by the owners in 1989. The Brian Silva designed course is built on the Bliss family farm purchased in 1964. Both the clubhouse, which was remodeled from the 1880 Victorian barn and the Bliss farmhouse built in 1745 are listed in the "National Register of Historic Places." The intent of the owners is to provide an exceptional, challenging but playable course for golfers of all levels of skill and ability. As owners and operators of Blissful Meadows Golf Club, we strive to accept and treat all members of our club equally. We strive to give everyone the opportunity to enjoy and be as proud of the club as we, the owners of Blissful Meadows are. Thank you from the staff of Blissful Meadows and the entire Bliss family. We want to thank you for being a loyal customer! Sign up for our FREE Blissful Meadows Loyalty Club Rewards Card today to begin receiving your rewards. The instructional programs at Blissful Meadows Golf Club have been developed to offer quality instruction from the absolute beginner to the most experienced player, including men, women, and children of all ages. Come on by, grab a delicious beverage and relax on our back deck overlooking the beautiful golf course. We also offer a full bar with multiple television sets to catch the latest scores, and an outdoor dining deck overlooking our beautiful golf course.